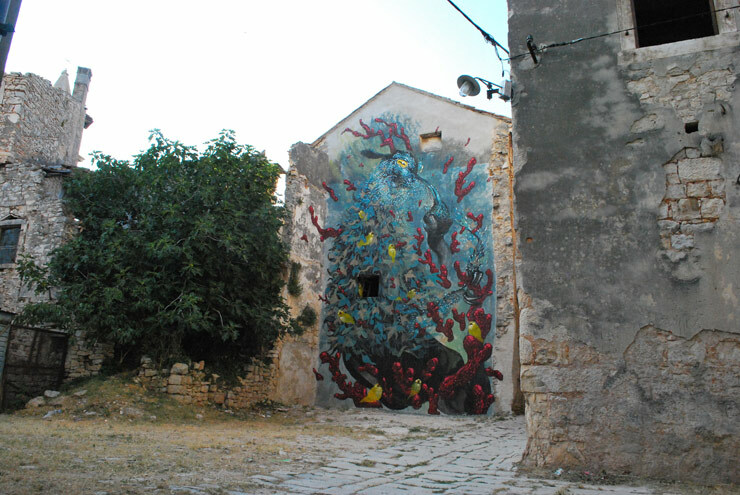 In July 2013, a new street art/comics festival titled BOOMBARSTICK was initiated in a small city of Vodnjan, situated on the coast of Istria in Croatia. 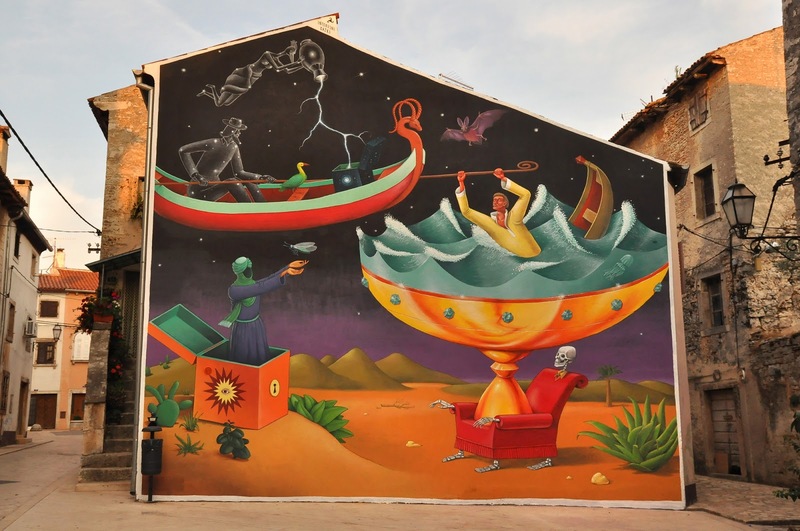 The festival attracted some of the most interesting names from the world of European street art scene. 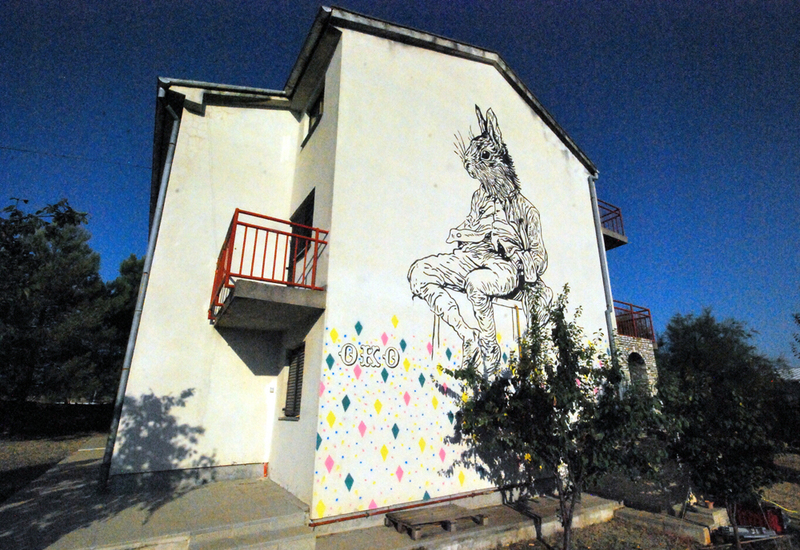 In this interview with Klara Mršić, the organizer and curator of the festival, we present you the context of the festival and discuss the importance of such initiatives taking place in abandoned and marginal places like Vodnjan. RP: As we understood, you lived in Paris for a long time, and then you decided to come back to your town and organize a festival? What were your intentions, thoughts and ideas that preceded such decision? KM: I was born in Paris, but I used to spend my summer vacationing in Vodnjan, with my three brothers and a sister. These yearly visits have given me an opportunity to witness the deterioration of the city, and how it has influenced the moral of its people. I had a group of friends in Vodnjan with whom I could exchange thoughts, experiences and ideas; there was a general sense of resignation, or impotence, a direct result of living in a political system that undervalues and creates no opportunities for the youth. In a city with 60% of young unemployment there are no cultural centers, nothing that can feed their motivation or curiosity. I once asked a friend of mine: "there are so many young people meeting every evening, why don't you get together and try to do something for the youth and the city?" His reply was: "Why don't you do it yourself?" That's how everything begun. RP: When the festival began, how did the artists react to your idea/invitation? What was the reaction of local people and stakeholders? KM: I was quite surprised to see a large number of invited artists reply almost immediately; they were curious about the new country that is Croatia and about the situation here. Many of them were wondering how a country, fresh out of the war and recently separated from the Yugoslav union was now adjusting to European standards. Artists who came from Poland or Ukraine understood immediately the nature of problems we are forced to contend with, artists such as AEC, who ended up drawing a politician/ businessman with a fish tail for us. In regards to the locals and the stakeholders, nobody believed that such a festival could ever take place in Vodnjan. The first reaction was disbelief, followed by "you should do this somewhere else" because they knew I would face more obstacles here in Vodnjan than anywhere else. The fact that it was an outsider who was organizing the festival didn't earn us any extra points, because I have always come here solely for the purpose of vacationing– nobody could've imagined that I would have the drive and the guts to build a festival in a country that I hardly knew. 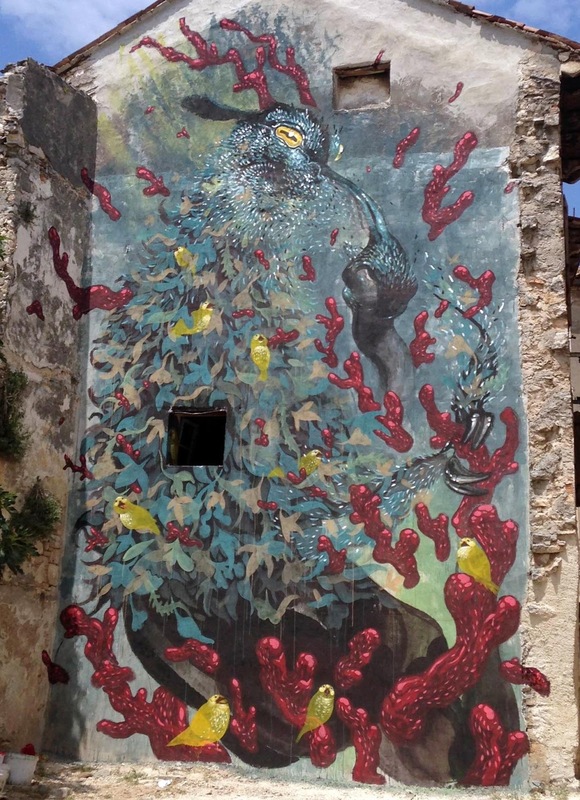 The number of naysayers grew when the news broke out that we wished to paint over medieval walls; the festival guests I was to bring were seen as a bunch of European vandals, spray-painting our walls, just for the sake of the cool. We reacted by organizing a preview, not in order to stir publicity in the wake of the municipal elections, but to show the citizens what our intentions were, and to see their reactions. AEC arrived in April; he immediately liked the place and understood why Vodnjan needed a festival like Boombarstick. While he was painting the mural people began stopping by, some asking if we could do the wall of their house as well, some to thank us for the attention we gave them. RP: Can you briefly list some of the names of the festival participants in 2013? KM: In order to answer this question I would have to give you the names of all people who contributed to the festival, from its inception, because they all gave something priceless; their love, enthusiasm, sheer force, etc… It was exciting to see people interact; it seemed as if the locals have been waiting for years for some kind of positive attention and a kind gesture; their reaction to visiting artists contributed a great deal to the beauty of the festival. 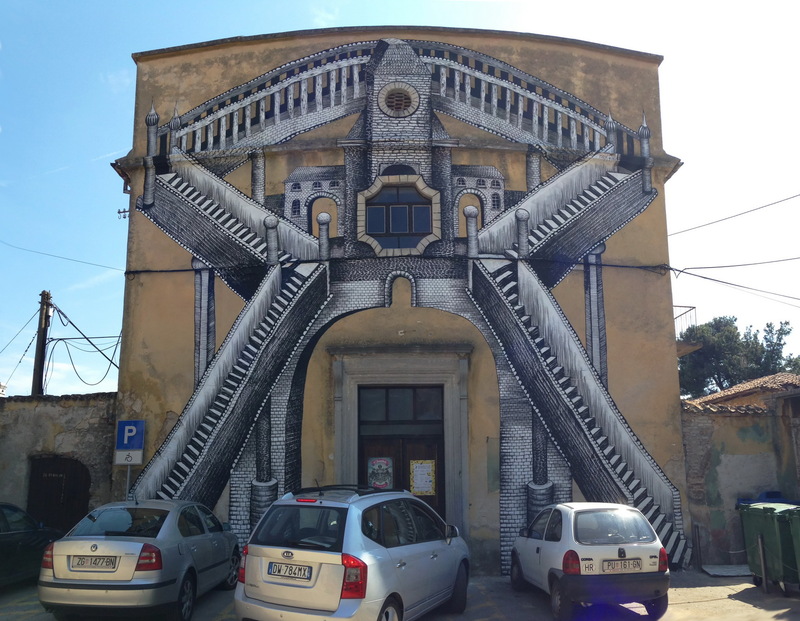 Street artists gave the locals something that would stay with them all year long: these gigantic, "in your face" masterpieces, they now get to see every day, as they walk through the city; all because a group of talented young people came here, for free, and in 5 days gave to this city more than the city major had given in 20 years... Musicians from France with Guarana Production came to the festival. They brought their instruments, and joy, and made themselves feel at home pretty much all over the city. 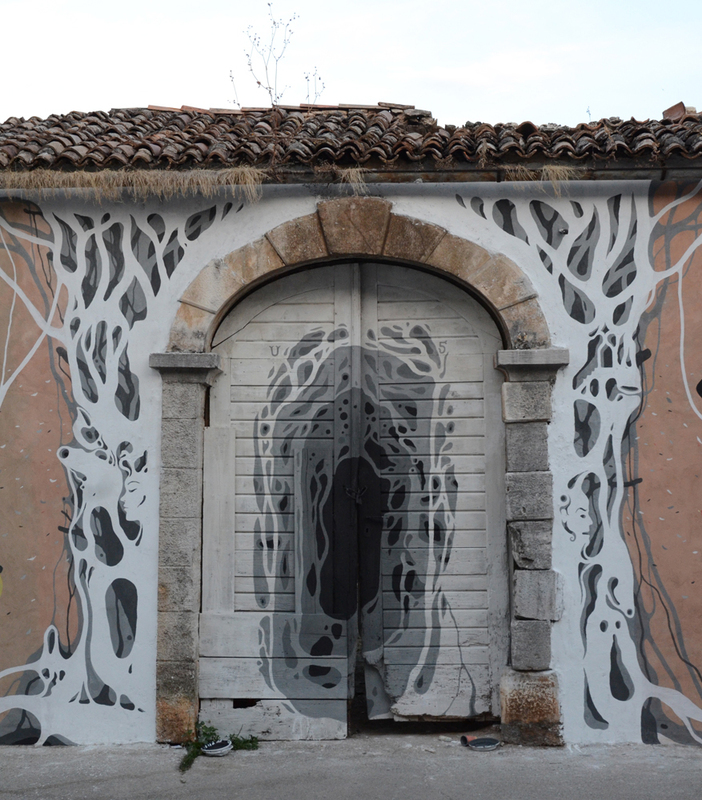 In my opinion, all artists who took part in the festival contributed something unique, and they all deserve special attention; that's why I would like to invite you to visit our website (www.boombarstick.com) and browse, because nobody deserves to be excluded, there is so much beautiful work in there. RP: During our visit we experienced Vodnjan as a mystical place, an old town made of stone, almost desolate. It seemed as if a bunch of secrets waiting to be discovered lay under every stone... Are there any interesting legends about its history? RP: How would you describe the future of Vodnjan with the Boombarstick festival going on annually? KM: With the municipal elections now behind us, the Boombarstick festival is not supported by the city hall anymore. 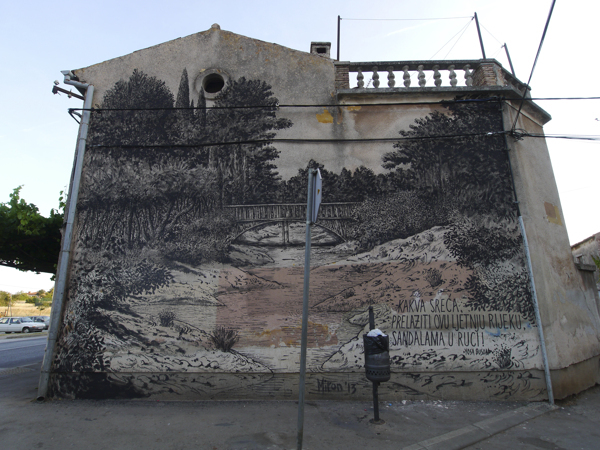 Vodnjan needs to be animated by sheer goodwill of its citizens, the city youth and the international artists. Istrians generally tend to retreat into nature on weekends, walking or sight-seeing. Before the Boombarstick festival no one bothered visiting Vodnjan because all the shops were closed, and there are 2 places that serve alcohol. The city was built almost like a labyrinth; a walk through Vodnjan may at times feel like walking through someone's sitting room, which is a big part of its charm. On the other hand, the monotonous gray of the walls doesn't look too welcoming, especially in winter; this is why I think that Vodnjan needs a festival like Boombarstick, a festival build for the needs of the entire community. RP:How do you see the future of Vodnjan without Boombarstick festival taking place there? KM: I hope it never happens. Vodnjan without Boombarstick festival would be sad. People already have enough sadness – no money, no jobs, no opportunities; they often sell their possessions, piece by piece, just to survive. In the end they surrender 25% of their hard earned money to the tax man. RP: We share the opinion that is now commonly established in the underground art scene, globally – it is more important for the scene in general if something significant happens in marginal places, rather than in big cities, which are by default centers for culture and the arts. When something emerges from the borders of the scene, it broadens the map of the scene in general. It brings new people into the fold, merges new ideas and new environments. Would you say that BOOMBARSTICK has accomplished some of that? KM: Yes, I think that Boombarstick #0 was more of a meeting than a festival; it had a beautiful human dimension. Nobody felt rushed. We encouraged the artists to stay on after the festival ended in order to meet people and get to know the place better. In a city like Paris you want the guests to fly away as soon as possible because everything is so expensive. Here people come to us for free to make something happen. The urban culture of big cities has created many deviations that are almost as superficial as fashion. If you want to earn money you obviously should do it in Paris, Nice or another big city where you try to make a name for yourself. We've encountered many obstacles, but we didn't do it for the money, and we made no money. Our efforts were awarded nonetheless, by knowing that we did something good and useful. 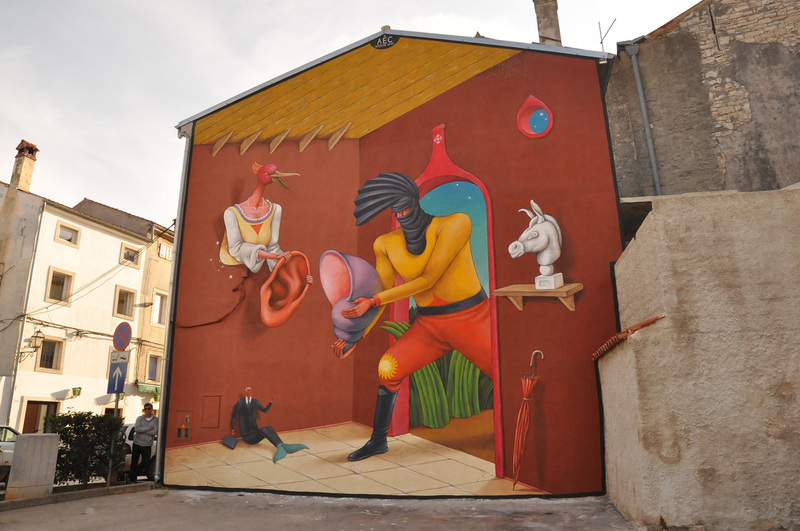 Graphics in order of appearance: Oleg Morovic, Phlegm, Interesni Kazki, AEC (from Interesni Kazki collective), Ufo 5, Miron Milic, Hitnes, Oko.